FREE Medium Sub With Bottled Water Donation! You are here: Home / FREEbies / FREE Medium Sub With Bottled Water Donation! On August 5 only! 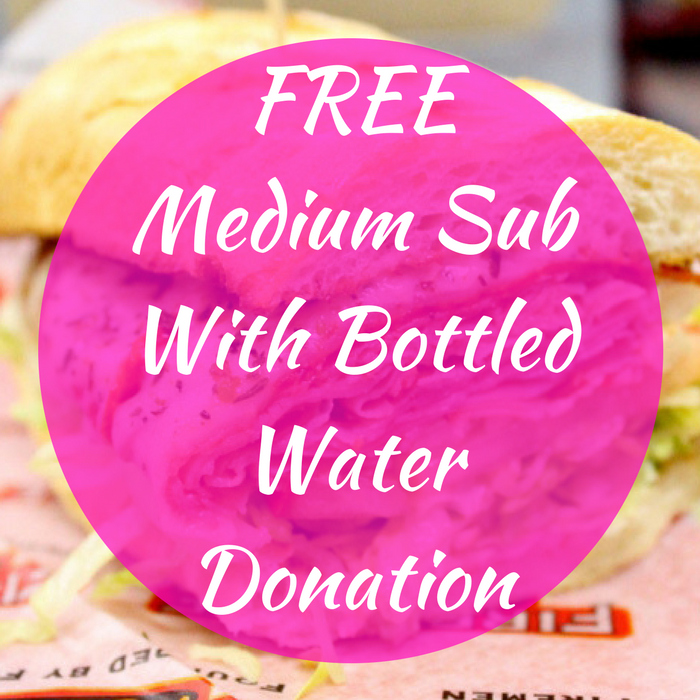 Firehouse Subs will be offering a FREE Medium Sub when you donate a 24-pack of Bottled Water! All donated water will be given to local first responders and community groups in need. Please note that there’s only a limit of 1 sub per person, per case of water. Nice!